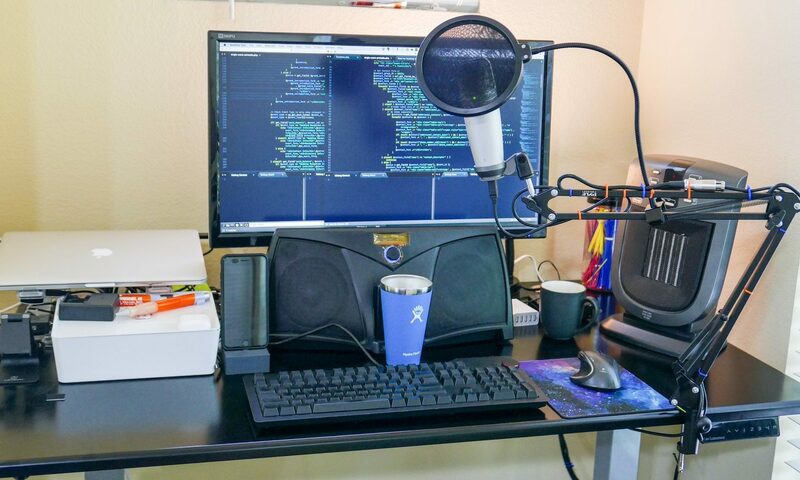 I usually store my headphones on my desk somewhere, but it’s always annoying having them taking up valuable space that could either be housing something else, or just adding visual clutter to my workspace. My Sennheiser HD600 cans came with a desk clamp / mount, but I donated it while we lived in the trailer thinking I’d never need it. 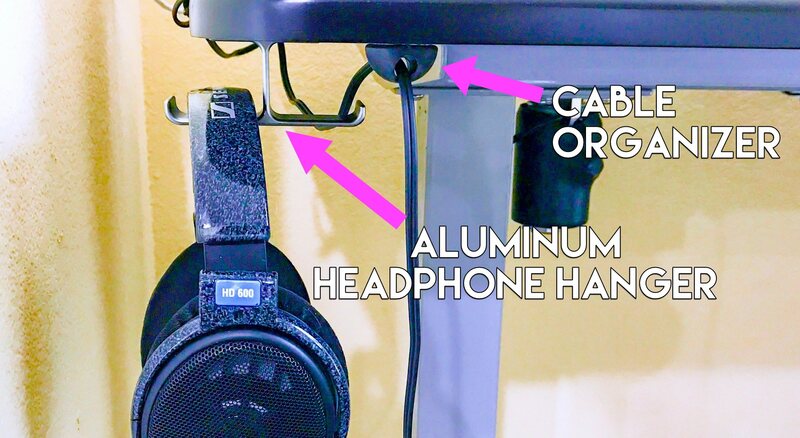 This new aluminum headphone hanger is even nicer than the Sennheiser one I got, and it works great! It comes with two screws, if you want some added stability / security, but I’ve had it attached to my desk with only the 3M double sided tape for three days now, and it’s held up great. Feels super sturdy! This is a great way to clean up your workspace and make you feel like a badass at the same time! The little rubber half sphere you see is also a great way to route and organize the cables on your desk. I got a pack of 6, and still have 4 left to add somewhere on my desk!